BeWell Associates is proud to congratulate our clinician, Mary Kate Gowdy, for achieving the highly regarded credential of Certified Nutrition Specialist. The integrative approach Mary Kate takes with her clients focuses on getting to the root cause of their symptoms and providing real solutions. 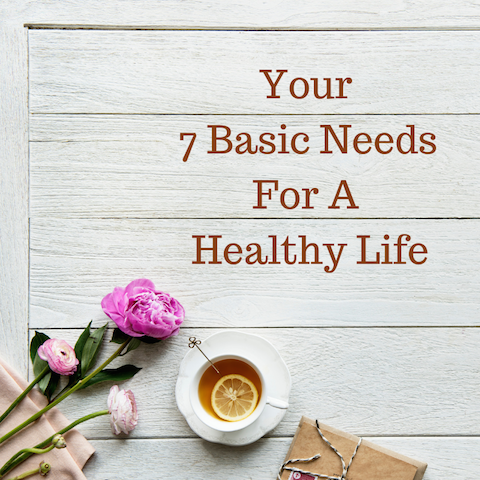 While each person’s situation is complex, Mary believes that there are 7 basic needs that we must give ourselves every day to feel better and be healthier — right now. Water – Drink half your weight in ounces daily. This will keep you hydrated, cleanse your system, boost your metabolism, and give your body the ability to heal itself more efficiently. Nutrition – REAL food, CLEAN food. Eat to live, not live to eat. They’re called ESSENTIAL nutrients for a reason; your body needs them every day to function properly and optimally. Treat your body right by fueling it daily. Sleep – All adults should strive for 7-9 hours of sleep every night. Your body rejuvenates and heals while you sleep. Your minds processes the day’s events while you sleep. And you burn the most calories while you sleep. Love – Choose to have beautiful people in your life. People that love you unconditionally, support you, and encourage you. This is your life and it is your choice to leave the negative out and fill it with love. Give love, accept love, be love. Shelter – Your mind connects disarray and chaos with disease. Love your home and keep it clean and organized. Get rid of what does not bring you joy. Spiritual Practice – This does not need to be a religion, but rather giving yourself time to pursue self-realization, mindfulness, and awareness. Take time daily to be aware of your surroundings and enjoy each moment (while with family or friends, while eating, while walking, etc.) Be aware of your needs and make sure your choices respond to them. This brings you a sense of peace, connection, and harmony. Movement – When you’re are stagnant, everything about you becomes stagnant — weight loss, thoughts, ideas, etc. Move every day, whether it be stretching, dancing, walking, using the stairs rather than the elevator, parking farther away from the store, yoga practice, hiking, etc. Every. Day. Try picking one area and choosing one action or habit to focus on this week. Can you get 30 minutes more sleep? Eat more mindfully? Go for a walk? What small habit would have the biggest impact on your health and life? Always remember that life does not need to be an emergency. You have the ultimate choice about what your life looks like, how you’re treated, and how you treat yourself. Choose positivity, health, peace, and love! According to the Board For Certification of Nutrition Specialists, Certified Nutrition Specialists (CNSs) are advanced nutrition professionals. CNSs engage in science-based, advanced medical nutrition therapy, research, education, and more, in settings such as clinics, private practice, hospitals, and other institutions, industry, academia, and the community. CNSs have fulfilled the most rigorous advanced-degree, education, experience, examination, and continuing education. CNSs have fulfilled the most rigorous advanced-degree, education, experience, examination, and continuing education. The Certified Nutrition Specialist is the most widely recognized certification by federal and state governments and is only non-dietetics credential and examination widely named in state nutrition licensure laws. Mary Kate adds the CNS credential to her Master’s Degree in Clinical Nutrition and Integrative Health from Maryland University’s School of Integrative Health, a Bachelor’s Degree in Psychology from Temple University and her training as a Holistic Health Practitioner through the Institute for Integrative Nutrition. She is also a Reiki Master Practitioner Teacher. The integrative approach Mary Kate takes with her clients focuses on getting to the root cause of their symptoms and providing real solutions. While each person’s situation is complex, Mary believes that there are a few basic tips that everyone can follow to feel better and be healthier — right now.